Your serum pH, which is the measure of your blood’s acidity or alkalinity, is a vital indicator of your health, and it is affected by diet. Certain foods alkalize your pH (mostly fruits and vegetables) and other foods acidify it (animal proteins and grains). This should not be confused with acidic foods, like citrus fruits, which are alkalizing once digested. Today we’ll review the negative impact of serum acidification on your bones and the 12 foods that alkalize your serum pH thanks to their high potassium content. When your body’s serum pH becomes acidic for an extended period of time, natural buffers are depleted, so the excess acid is neutralized with alkalizing minerals, such as calcium, found in bone. While this corrects a potentially dangerous acidic state, it also leads to a decrease in bone density. In fact, a chronically acid pH is the true underlying cause of osteoporosis. Scientific research confirms the relationship between acidosis, maintaining an alkaline pH and fracture incidence. Take for example the study published in the European Journal of Nutrition that examined the inversion of the potassium-to-sodium and base-to-chloride ratios in the contemporary human diet. The study authors found that acidosis can be reversed and prevented with dietary modifications. Study participants who switched from a net-acid producing diet to a net-base producing diet (acidifying to alkalizing) had an alkaline serum pH. That shift translated to a lower incidence of fracture. An acidic serum pH leads to mineral depletion from bone, resulting in osteoporosis. Alkalizing your serum pH by making dietary modifications prevents this deleterious process. Potassium counteracts the effects of NaCl. The average Western diet contains far less potassium than early human diets contained, meaning that we could be providing a line of defense against the acidosis caused by NaCl by merely consuming more potassium. Potassium alkalizes your pH and protects the body from the loss of calcium caused by sodium chloride. It’s easy to reap the alkalizing benefits of potassium from a wide variety of food sources. Below are 12 potassium-rich foods to help alkalize your serum pH and protect your bones and your health. Please note that all of the foods listed are alkalizing except for black beans. Also rich in Vitamins A and C, this tasty tuber can be baked, mashed, fried and incorporated into all manner of dishes. A medium-sized sweet potato contains 542mg of potassium, about 12% DV. Plain unsweetened yogurt contains 573mg of potassium per cup- plus a good amount of calcium and protein. Avoid flavored and sweetened yogurts. Instead, dress it up yourself with fresh fruits and a light drizzle of honey. Yogurt is also a versatile ingredient in all kinds of dishes. A single cup of swiss chard contains 20% of the recommended daily value of potassium at 961mg. This leafy green is also a rich source of calcium, iron, and Vitamins A, C, and K.
This one surprises a lot of people, but potatoes contain many valuable nutrients, including Foundation Supplements magnesium and Vitamin C. A medium baked potato has 941 mg of potassium, and make sure you eat the skin since it contains a lot more potassium than the rest of the potato. Also, the skin is what makes it an alkalizing food. Just in time for fall, a cup of butternut squash contains 582 mg of potassium, along with a healthy measure of Vitamin A, plus calcium, folate, magnesium and Vitamin C.
Watermelon is a refreshing source of potassium at 641 mg per serving, and is another great source of lycopene, the same carotenoid pigment contained in tomatoes. It’s also one of the most hydrating foods you can eat. You can get a full quarter of your daily potassium requirement from a serving of white beans. That’s 1,189 mg. White beans also contain 20 g of protein and 13 grams of fiber, making them an excellent choice if you’re trying to cut down on acidifying animal protein. This fiber-rich favorite packs 739 mg of potassium per cup, in addition to containing calcium, magnesium, and folate. Even though they’re acidifying, the minerals and antioxidants in black beans make a bean-based burrito a bone-building meal. A single cup of frozen spinach contains 540 mg of potassium. The reason frozen spinach is on this list, but not fresh spinach, is because this delicate green rapidly loses its nutritional value after harvest, but flash-freezing locks it in. Fresh spinach is still a healthy choice though, and if you’re more likely to eat fresh spinach than frozen, then that’s what you should buy. This root vegetable is great in salads, soups, juices and veggie roasts. A cup of cooked, sliced beets contains 518 mg of potassium, and a 1-ounce serving of beet chips has 90 mg.
And finally the most iconic potassium source of them all, bananas. But here’s a surprise: of all the foods on this list, bananas contain the least potassium! At 422 mg they’re still a strong source and a delicious treat. 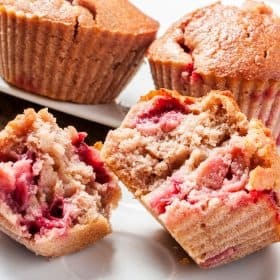 Plus bananas make a convenient snack and a great ingredient in smoothies. Add a banana, frozen spinach, and yogurt in your breakfast smoothie to start your day with a boost of NaCl-balancing potassium. What other potassium-packed combinations could you cook up with these 12 ingredients? The possibilities are endless! From white beans to bananas- there are plenty of potassium-rich foods you can enjoy every day. Embrace the power you have to improve your health with delicious foods. So embark on a bone-strengthening, health-promoting journey fueled by a pH-balanced, alkalizing diet. Vivian, I read your article on how you drink one cup of coffee with an alkaline food such as almond milk but NOT acidic dairy. I drink one cup(really 12 Oz) and I put a pinch of Baking Soda. I also follow that by a green drink of cilantro, organic spring mix and almond milk or I vary with frozen spinach, banana slices and avocado for a good fat. My question is does a pinch of baking soda without aluminum like from Whole Foods, neutralize the acid in organic black coffee? Hoping someone answers Elisa Gonzalez’s question on the Apple Cider Vinegar. I have been take 1 tsp per day in my morning tea. Too much….Too little….. I am reading The Plant Paradox by Steven Gundry, MD. As you may know, he is a famous cardiologist, surgeon and medical equipment and medical treatment inventor. In his book, he explains all about Lectins which reflect the way plants use chemistry to protect their “Babies” (seeds) from being eaten and thus preserving their species. Dr. Gundry explains the way humans can interact with plant Lectins to our benefits and also foods that humans should stay away from. In your blog today there does not seem to be any guidance about Lectin avoidance in the foods you recommend to your followers. Do you feel that Dr. Gundry is incorrect in his treatment of foods and Lectins and that we can safely ignore his advice? The only difficulty I have with Dr. Gundry’s book is his suggestion that microwaving foods is an acceptable practice. Possibly he has not had the time to research how microwave cooking damages the food we eat. My wife and I have been following your advice since your startup. You gave me the awareness that Osteoporosis was not a disease but nature’s way of protecting the body from the acidity promoted by an unsuitable diet. I successfully convinced her that she should Stop taking Fosamax and to change her diet. 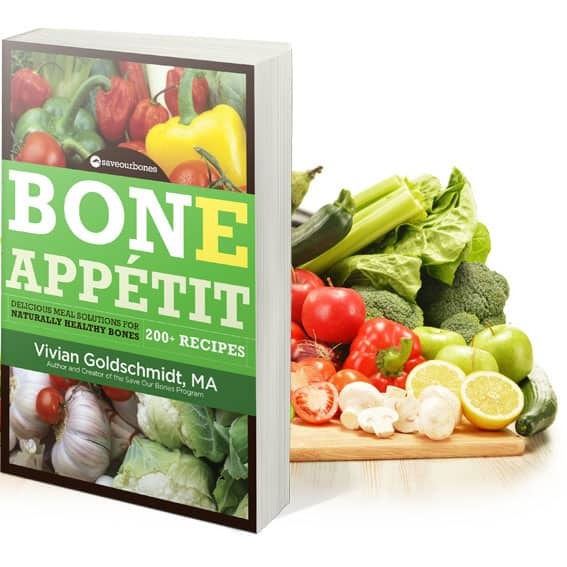 I am trying to order the bone recipe cook book but it would not go through… Please help…smile…. Gotta add a couple more to this great list. One avocado (136 g) has 689 mg potassium. Wild, Atlantic salmon, 1/2 fillet cooked with dry heat (154g) has 967 mg potassium. Thanks for the information, Adriane! recipe book, and continue enjoying it since 2014. You’re very welcome, Marlene! We’re glad you’re enjoying the recipes in Bone Appetit. What is the best guideline for serving size of vegetables and fruits, with potassium intake and bone health in mind? Carolyn, at the Save Institute we don’t believe in one-size-fits-all recommendations for number of servings of specific foods or serving portions. Instead, we emphasize balancing fruit and vegetable intake with acidifying foods at an 80/20 ratio, which alkalizes the serum pH and prevents bone loss. 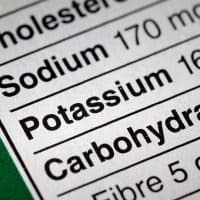 You can look up the amount of potassium in various serving sizes of foods on https://nutritiondata.self.com/ Just use the tool bar to change the serving size into an amount you’re familiar with. You can also use the website to search for foods by a particular nutrient. No wonder you’re confused, Sherrie! The information on the list is flawed. 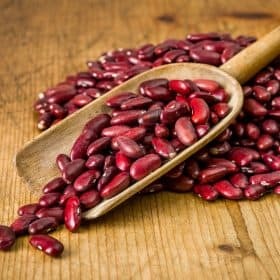 Unless you have kidney problems, you should not worry about oxalates in healthy, alkalizing foods. Also, dairy (except for plain, unsweetened yogurt) is highly acidifying, so it actually harms bones. Feel free to contact our Customer Support department should you need further help with this. 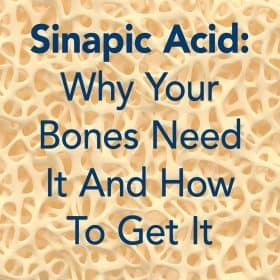 I believe it does help the bones as it is acidic in the stomach and alkaline in the body. Would you please tell me what is the overall effect of apple cider vinegar? I am so confused about whether it is helpful or not. As commented by Kathleen, apple cider vinegar is powerfully alkalizing. Are there any recommendations for how much apple cider vinegar should be taken daily? There are no official nutritional recommendations for apple cider vinegar. In weight loss studies, participants are typically given 1 to 2 tablespoons per day. But for adding this alkalizing condiment to your daily bone-smart diet, I’d recommend simply using it in your salad dressings and to flavor foods and dishes. Some people like to add some to their beverages, too, which is also fine. As in all things, moderation and common sense are key – drinking 6 tablespoons every day, for example, is likely too much, while 2 teaspoons per week may not be enough for the full alkalizing effect. A good average is a tablespoon a day, but you may find you do better with a little more or a little less, depending on how your body responds.